Liam Neeson and the family of actress Natasha Richardson, who died in a ski accident, have held a wake in New York. Neeson and the couple's two teenage sons were joined by Richardson's mother, Vanessa Redgrave and sister, Joely Richardson. The wake was held at the American Irish Historical Society in Manhattan. On Friday night, more than 50 theatre venues in London's West End dimmed their lights in tribute to the respected stage actress. Nica Burns, president of the Society of London Theatre, said it was "a gesture of condolence at this sad time." Broadway theatres dimmed their lights on Thursday in honour of the 45-year-old actress, who died earlier this week following a skiing accident in Canada. Richardson's husband Liam Neeson was present to see the theatre community commemorate his wife's passing. Richardson's mother, Vanessa Redgrave, and her sister Joely Richardson were also present alongside actors Matthew Broderick, Sarah Jessica Parker and Laura Linney. The lights went down at 2000 EST (0000 GMT), the traditional starting time for evening performances in New York. In London, the two-minute mark of respect started just before 1900 GMT. Because plays do not start simultaneously in the West End, however, the two-minute tribute was staggered over an hour. Lights at 52 major venues in the capital went down just before curtain-up "as a mark of respect for both Natasha Richardson and her immediate family, and for the Redgrave family as a whole who have made such a unique contribution to British theatre." Lights in London's theatre district were last dimmed in January as a mark of remembrance for the playwright Harold Pinter, who died in December. Richardson's uncle, Corin Redgrave, is currently appearing at London's Jermyn Street Theatre in a play based on the writings of blacklisted Hollywood screenwriter Dalton Trumbo. The theatre will join the tribute by dimming its own lights before a performance that the actor is dedicating to his niece's memory. "She was the most adorable niece, most adorable person," said Redgrave on Friday. "Generous, kind, funny with a brilliant talent. "I will miss her terribly and my thoughts - at this time - are with Vanessa, Liam and the children." On Thursday the New York medical examiner's office said Richardson, who had two children with Neeson, died of epidural haematoma caused by a blunt impact to the head. Doctors said she might have survived had she received immediate treatment. According to officials, funeral arrangements will be made by the Greenwich Village Funeral Home in Manhattan. 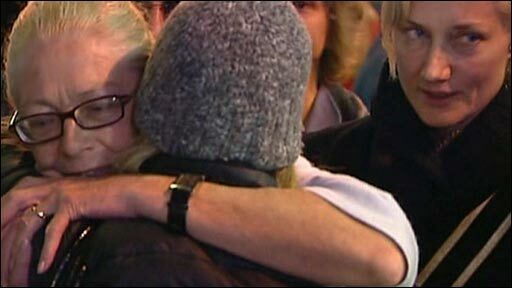 Instead of flowers, Richardson's family have asked for donations to be made to the amfAR foundation for AIDS research. The actress, whose father Tony Richardson died of complications from the disease in 1991, was a long-time supporter of the charity and served on its board of trustees for the last three years of her life. The autopsy found that Richardson died from bleeding in her skull caused by a fall she took on a ski slope on Monday. Such bleeding is often caused by a skull fracture that can quickly produce a blood clot that puts pressure on the brain. That pressure can force the brain downward, pressing on the brain stem that controls breathing and other vital functions. Patients with such an injury often feel fine immediately after being hurt, as symptoms from the bleeding may take time to emerge. The death of Richardson, who was not wearing a helmet at the time of her fall, has heightened the debate over skiing safety. 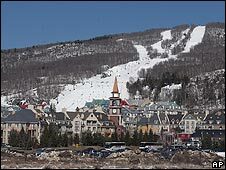 Questions have also been raised about why the first ambulance sent to the Mont Tremblant resort in Quebec after Richardson's accident was turned away. Medics arrived shortly after the 45-year-old's fall, only to leave after the actress refused medical attention. Another two hours elapsed before a second emergency call was made from Richardson's hotel room. It was at this point that the actress, still conscious, was moved to a hospital 40 minutes away. 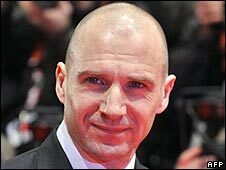 Actor Ralph Fiennes, who starred with Richardson in Maid in Manhattan and The White Countess, has joined the host of celebrities who have paid tribute to the Tony award-winning performer. "She was a star," he said. "A great actress, a beautiful woman, a fiercely loyal friend, a brilliant and generous companion. "I cannot imagine a world without her wit, her love, her mischief, her great, great talent and her gift for living," he continued.